Coffee University has selected their winning logo design. For $375 they received 241 designs from 28 different designers from around the world. I like the idea, Green represents green coffee, then maybe adapt other colors to other coffee diciplines. Blue represents the water used for brewing coffee. please continue with this idea, but watch out to make a copy of something simmilar existing. 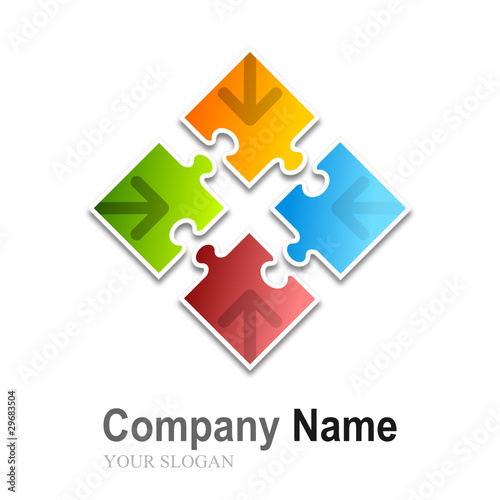 When in google you type puzzle logo you have lots of examples. Why not 3D? Be creative, you have my attention.